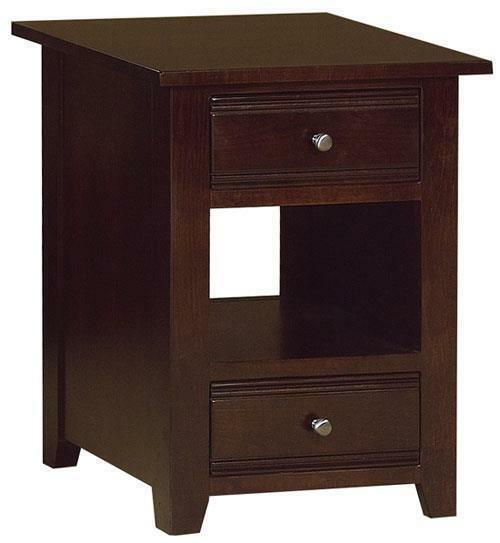 Enjoy a classic Arts and Crafts design with a clean lined modern look in our Austin End Table. This end table offers 2 drawers that are handcarved with unique grooves that will look great in any home. We love its simple silver hardware which contributes to a modern look. Its center shelf is great for storing your books, decor items, or any other bedroom or living room essentials. Please feel free to get in touch with us with any questions you may have. A member of our friendly team of Amish furniture experts can be reached at 866-272-6773. We look forward to your call!